WATERLOO - Phyllis Rae Beaumont, 89, of Waterloo, died Saturday, Feb. 19, at University of Iowa Hospitals and Clinics, Iowa City. 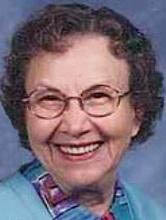 She was born Sept. 11, 1921, in Grundy County, daughter of Frank and Pearl Bickner Mathes. She married Lawrence Shaw in 1938, and they later divorced. She married Raymond Junior Tharp in 1955. He died in 1967. She married Thomas Beaumont in 1970. He died in 2003. Mrs. Beaumont managed the Vagabond Motel, San Diego, for many years. She also worked as a relief manager for several motels throughout the United States. Survived by: three sons, Jack (Victoria Kimpe) Shaw of Coralville, Jerry (Barbara) Shaw of Rapid City, S.D., and Jay (Roberta) Shaw of Cantonment, Fla.; a daughter, Jill (Ronald) Krause of Boone; many grandchildren and great-grandchildren; and a sister, Esther Cook of Cedar Falls. Preceded in death by: two sisters, Mildred Smith and Frances Sorenson. At her request there will be no services; her body was cremated. Parrott & Wood Chapel of Memories, an Overton Family Service, assisted the family.